Below you fill find all funeral homes and cemeteries in or near Clive. Suburbs of Clive: Des Moines, Windsor Hts. Their current mayor is Mayor Scott Cirksena. Zip codes in the city: 50324, 50325. Clive is a city in Dallas and Polk counties in the U.S. state of Iowa. As of the 2010 Census the population is at 15,447. It is part of the Des Moines–West Des Moines Metropolitan Statistical Area. Clive is known for its Greenbelt Park and trail system running through the entire community. Clive serves as the axis of the western Des Moines suburbs, being located between Urbandale, Waukee and West Des Moines along the major transportation corridors of I-35, I-80 and I-235. The City of Urbandale is to the north to northwest, the City of West Des Moines is to the southeast to southwest, the City of Waukee in Dallas County is to the west. It was noted on February 10th, 2019 that Duane Howe died in Shawnee Mission, Kansas. Howe was 83 years old and was born in Clive, IA. Send flowers to express your sorrow and honor Duane's life. It was revealed by Des Moines Register on February 9th, 2019 that Naida Reeve passed on in Clive, Iowa. Reeve was 89 years old. Send flowers to express your sympathy and honor Naida's life. It was noted by Des Moines Register on January 6th, 2019 that Larry Lenfred Link perished in Clive, Iowa. Link was 83 years old. Send flowers to share your condolences and honor Larry Lenfred's life. It was noted by Des Moines Register on January 3rd, 2019 that David Edward Jr Cook passed on in Clive, Iowa. Cook was 61 years old. Send flowers to express your sorrow and honor David Edward Jr's life. It was revealed by Des Moines Register on December 23rd, 2018 that Ferlin Gail McAlister died in Clive, Iowa. McAlister was 61 years old and was born in Bellflower, CA. Send flowers to share your condolences and honor Ferlin Gail's life. It was disclosed by Des Moines Register on December 9th, 2018 that Sarah "Blanche" McArthur perished in Clive, Iowa. McArthur was 89 years old and was born in Hillsburgh, . Send flowers to express your sympathy and honor Sarah "Blanche"'s life. It was written by Des Moines Register on November 18th, 2018 that Jean Ward (Bray) passed away in Clive, Iowa. Ms. Ward was 95 years old. Send flowers to share your condolences and honor Jean's life. It was revealed by Des Moines Register on November 16th, 2018 that Donald Lanham passed away in Clive, Iowa. Lanham was 83 years old. Send flowers to share your condolences and honor Donald's life. It was reported by Des Moines Register on November 11th, 2018 that Sharon Ann Bright (Smiley) passed on in Clive, Iowa. Ms. Bright was 63 years old. Send flowers to express your sorrow and honor Sharon Ann's life. It was revealed by Des Moines Register on October 30th, 2018 that Arlene Rose Willadsen (Galbraith) perished in Clive, Iowa. Ms. Willadsen was 96 years old. Send flowers to express your sorrow and honor Arlene Rose's life. The concerts are held on Fridays during the summer months. 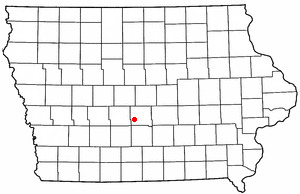 the portion of Clive that is in Dallas County is part of the Waukee, Iowa School District. Clive is known for the popular "Clive After Five" concerts that the local Jaycees have held at Linnan Park since 1985. It is part of the Des Moines, Iowa Moines–West Des Moines, Iowa Des Moines Des Moines metropolitan area Statistical Area. Clive was platted in 1882 but did not incorporate as a city until August 18, 1956. The population was 12,855 at the United States Census, 2000 census, with an estimated 2006 population of 14,062. The official website for the city of Clive is http://www.cityofclive.com. Find funeral homes in Clive, IA using the funeral homes directory. Search for Clive funeral homes at Caring.com. Listing all funeral homes in Clive, Iowa so you can easily send flowers to any location (same day delivery) or find any funeral service. Overton, Blair - Brooks Funeral Care, Clive, IA : Reviews and maps - Yahoo! Local, 515.277.8700. Get Ratings, Reviews, Photos and more on Yahoo! Local. We work with local florists and flower shops to offer same day delivery. You will find budget sympathy flowers in Clive here. Our funeral flowers are cheap in price but not in value.